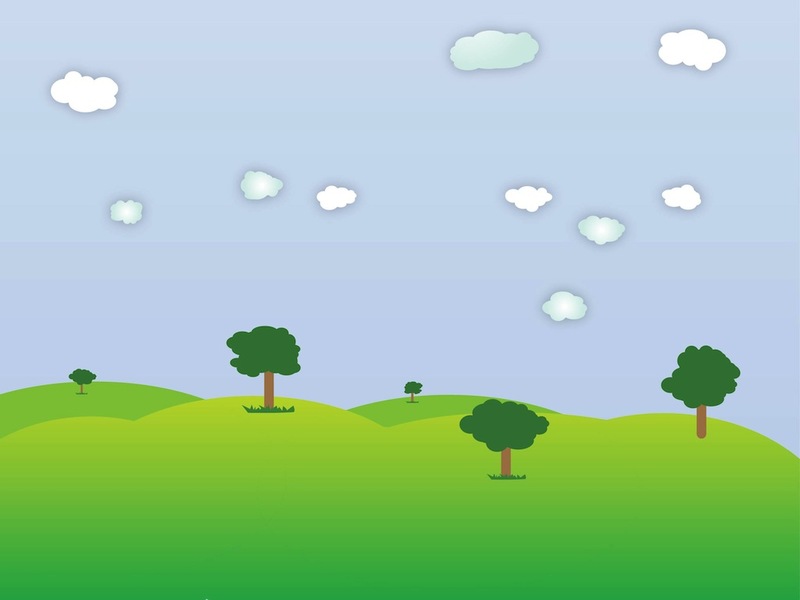 Vector graphics of a pristine field with fresh grass. Small hills, trees surrounded by grass stems on the hills and soft clouds in the sky. Free vector illustration to use in all your spring, summer, nature, countryside, plants, hills and ecology design projects. Cartoon landscape for your wallpapers and background images. Tags: Clouds, Field, Fresh, Garden, Grass, Nature, Paradise, Park, Spring, Trees.